Legion Family | American Legion Riders Post 17 ............ Take a ride through our information highway! If you are currently on active duty, serving the United States honorably, anywhere in the world, or have served honorably during any of the eligible war eras, are eligible to join the American Legion. Women who are veterans who served honorably during any of the eligible war eras or who are an immediate family member of a veteran who served during any of the eligible war eras are eligible to join the American Legion Auxiliary. Membership in this organization is established through an individual’s parents’ or grandparents’ military service. 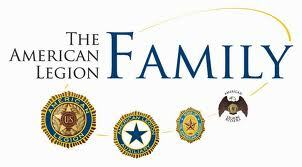 Essentially, if your parents or grandparents are (or were) eligible to join the American Legion, you would be eligible to join the Sons of The American Legion. Been riding with Post 17 for the last few years. Great group of people who enjoy riding motorcycles and helping out in the Community. We are always looking for American Legion members to join. Please come visit. 2nd Tuesday each month @7 @ the American Legion in Manhattan. I joined last nite on the national website for membership. What do I need to become a member of your club? Thanks for any assistance you can provide. Robert I have forwarded your message to our Director (Barry Maples) he will get in contact with you.